In this edition of Le Guru is You! 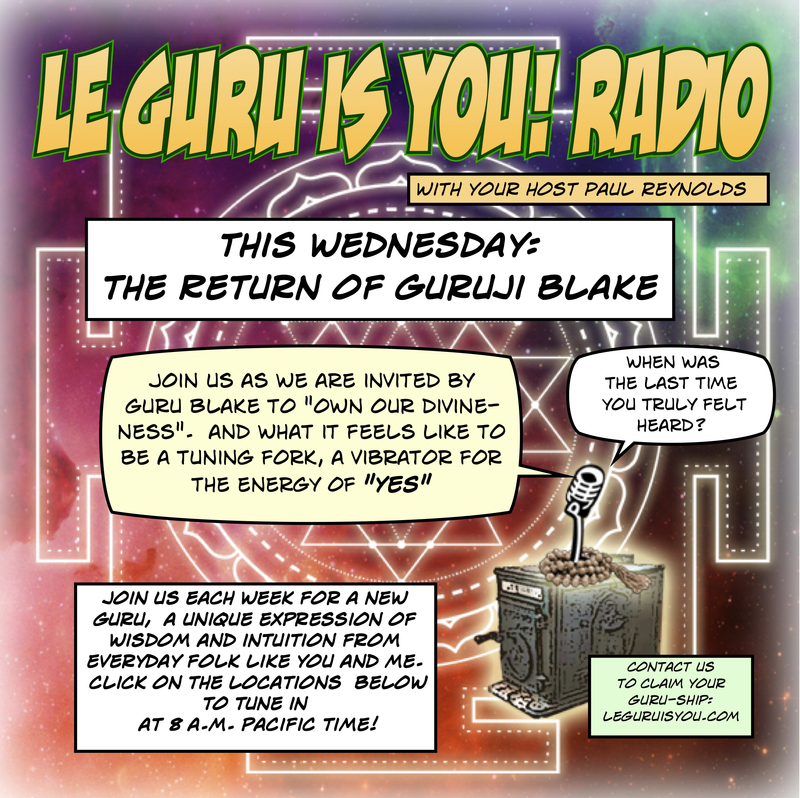 Radio, we are invited by guru Blake to "own our divine-ness". so many things we would like to say 'No' to. Guru Chris steps up to the dais "chameleon-ing" his way through an excercise in 'finding the words" to describe the indescribable all the while keeping to the forefront the important lesson of a compassionate loving of self. Every week a new guru, every week a new inspiration in the everyday!